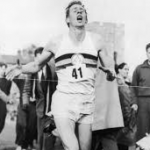 What have Roger Bannister and Bee’s got in common? 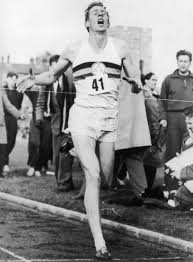 It’s probably the most quoted achievement in personal development literature, but 60 years ago today Roger Bannister was the first man to run a mile in less than 4 minutes. Prior to that athletes were reliably informed that to do so would cause so much pressure on the human body it may have serious consequences, possibly leading to death. Perhaps these were the same experts who, having done all the relevant aeronautical research, tell us that “Bees cant fly”. Luckily (just like the bees) Roger Bannister did not accept this limiting belief. This was in itself quite an achievement, but what happened next was even more significant. Immediately after Roger proved the experts wrong, many other people achieved the same (in fact the record only lasted 46 days!) and before long breaking the 4 minute barrier was commonplace amongst elite athletes. It highlights the fact that so many peoples limiting beliefs are not actually based on their own experiences, but on the beliefs other people have instilled in them. In my own work there’s hardly I client I work with who is not held back in some way by limiting beliefs. Irrespective of the belief, for example “I will always be depressed/fat/anxious/afraid”, if you believe that you can’t change, chances are you won’t change. There is a big difference between “can’t” and “won’t”, and that difference is……. Ta Da….. you guessed it …. a limiting belief! If you would like to get rid of any negative limiting belief, then you can contact me to see how I may be able to help you, or at the very least point you in the right direction. If you would like to learn some practical techniques about how to change the way you think and feel about food, and yourself, and how to use your mind to change your body, then come along to CHAMPNEYS where I am starting my brand new 2 night and 4 night Mind Body Weight Loss retreats, and I will personally guide you through the process of using your mind to change your body. Alternatively you can read Think More Eat Less and follow the process using the techniques in the book and the FREE audio hypnotic downloads.